The Easter holidays are here! SUSU will remain open during the break – other than Easter closure days- although some facilities will be running reduced hours. 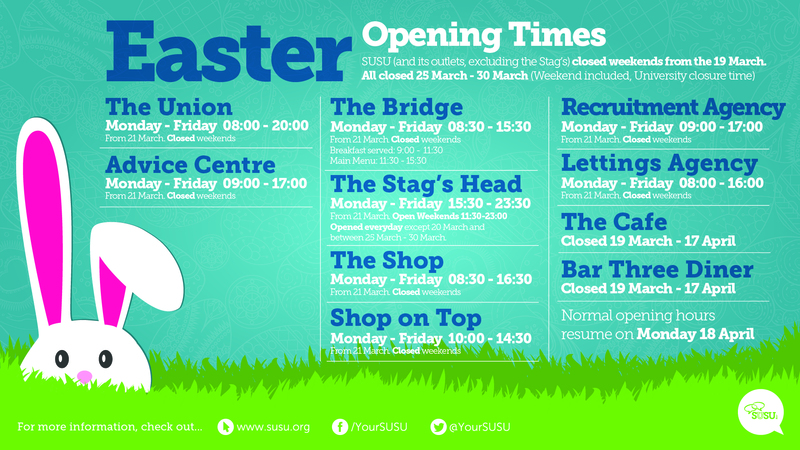 SUSU, and the rest of the University will be closed 17 – 22 April for Easter itself. 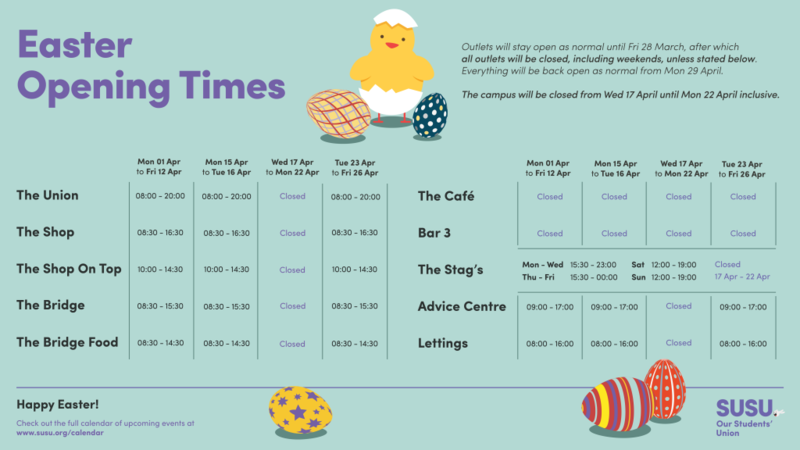 A full list of opening times is below 👇 Happy Easter! 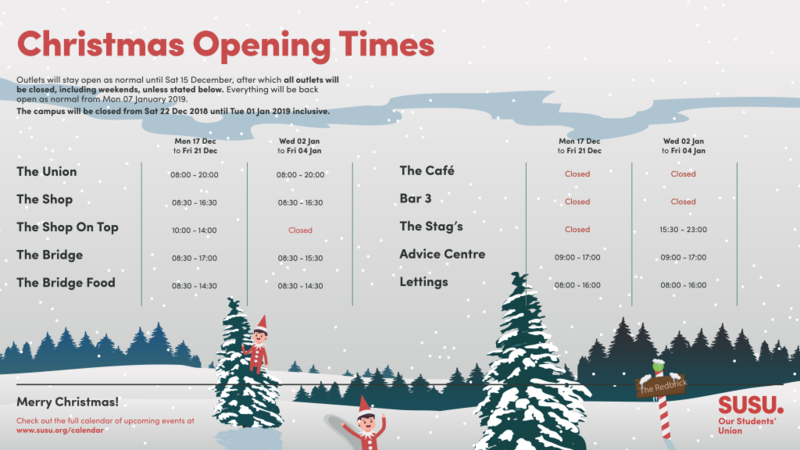 Whether you’re staying in Southampton this summer, or just popping back to visit now and then, here’s a handy list of our outlet and service opening times over the break. Open weekdays, 09:00 – 17:00. Open weekdays, 08:30 – 16:30. Closed weekends, excluding Saturday 09 September (open 10:00 – 16:00), Sunday 10 September (11:00 – 15:30) and Saturday 23-Sunday 24 September (10:00 – 18:00) for Welcome Weekend. Open weekdays, 10:00 – 14:30. Open weekdays, 08:30 – 15:30. The Easter holidays are almost here! 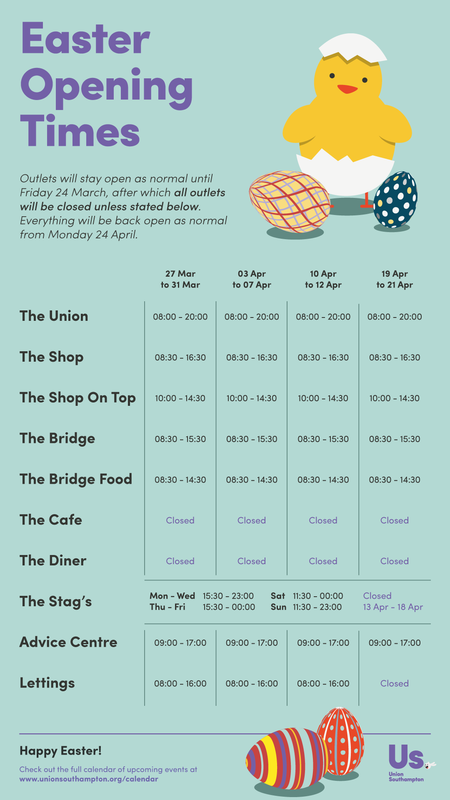 A full list of our opening times during the break can be found below – we’ll be having a rest at the weekends where we will be closed, but there are still plenty of opportunities to join us for some relaxation with friends during our weekly opening hours. We hope you have a cracking Easter, and remember to have some fun between the studying! 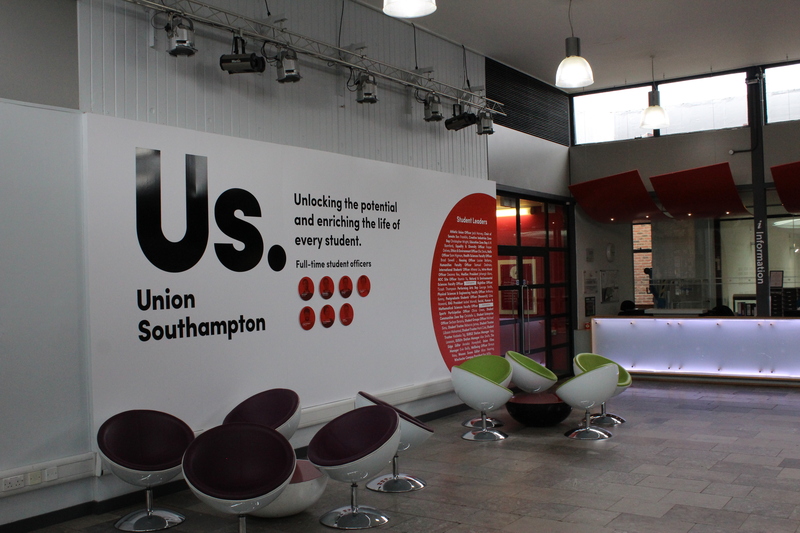 With the end of term fast approaching, we’ve pulled together a list of our outlet and service opening times over the summer so whether you are staying in Southampton or just visiting – you can access everything we do. We will be open as usual until Friday 10 June. All outlets are closed on Monday 29 August due to the Bank holiday. Term begins on Monday 19 September where normal trading hours begin again. 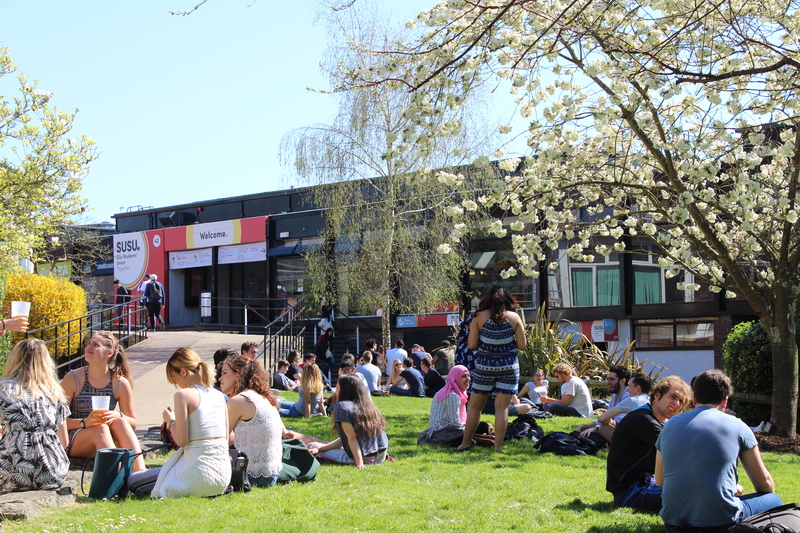 The shuttle bus service is active during term times only, so the service will finish on Friday 18th March and resume as normal on Monday 18th April. 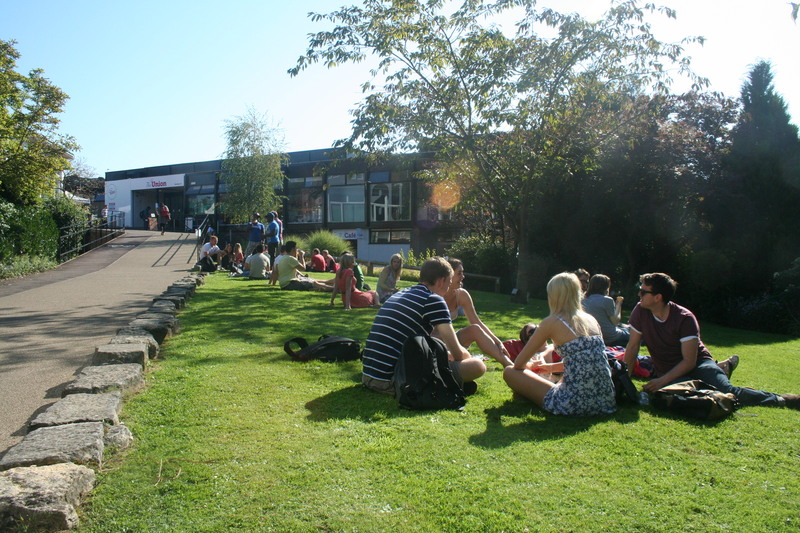 If you need to get to Highfield campus, you can find out details of the train and bus service on the University website here. If you’re a student parent, the Easter break is likely to be far from a relaxing holiday with your friends. With little ones to entertain and work to get done, you’ll be grateful to get back to Uni…until now! 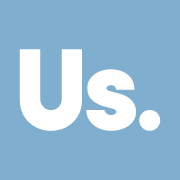 To help you out, we have scoured local events listings and looked up everything you need to know to have the Easter break you and your family deserve.